After Stephen Kearney was confirmed as new Warriors coach for 2017, sources close to Thai Castle has leaked information about the new strategy that the former Kiwis captain will try and incorporate. 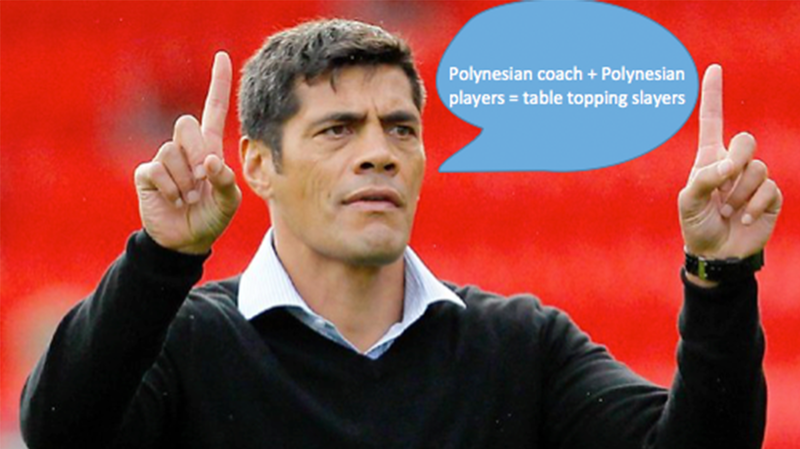 Preseason training has already been scheduled for Tonga – an amazing coincidence seeing as Stephen Kearney’s immediate family all reside there. Vodafone has been ditched as major sponsors as they have been seen to be ‘too white’, while all players with no Polynesian heritage have had their contracts ripped up or paid out. There is also a large shipment of mini Warriors flags arriving from China to sit comfortably on the top of any minivans car window.